Getting hired as a remote employee is both exciting and scary. There is the opportunity to be flexible with your location and to be more productive without people distracting you. However, there can also be a feeling of disconnect or loneliness as you cannot always be included in things happening in the corporate office and do not have the opportunity to go to someone in-person for an immediate response when an issue arises. Swoon has a plan in place to make sure all employees can work together no matter where they are located. However, not all companies are as aware of this need. 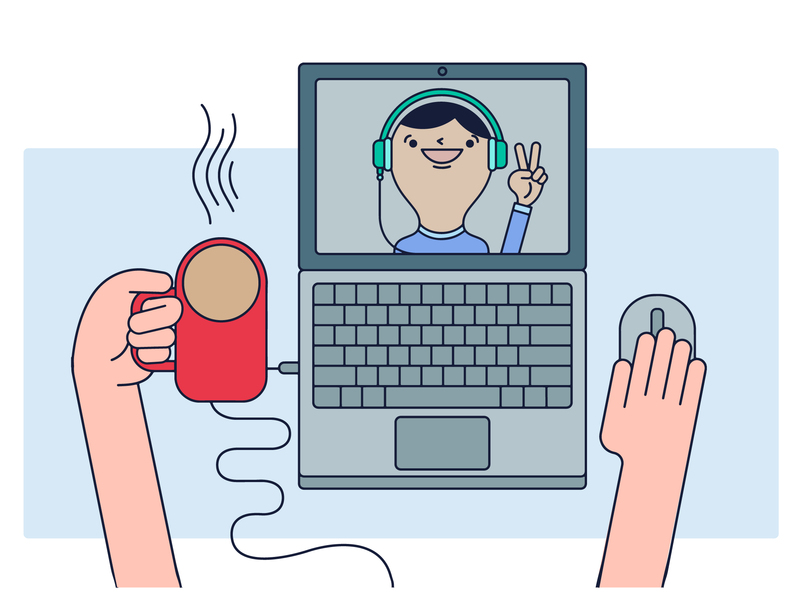 If you are a remote employee and are feeling disengaged or left out, here are a few tips to help you get back in the loop. Set up a brief meeting either daily or weekly where you can speak with your team and/or manager through a video chat application. Being able to see your colleagues is a lot more personable than a phone call and helps build relationships as you get to see each other’s facial expressions and mannerisms. Whenever possible, join in on anything that is companywide. It gives you a chance to interact with colleagues that you don’t usually get to work with. This will also help you to stay current with what the corporate office is doing and the tools they are utilizing. At Swoon, we meet once a week with the whole company to go over numbers, goals, wins, birthdays, events, etc. which helps keep all employees on the same page. As much as you can feel connected through technology, sometimes it is important to physically be in the office with your colleagues. I try to travel to the headquarters at least once a quarter, so I can work with my team in person and plan for the months ahead. It is also important to have company leadership come work from your location, so they can see how your day to day looks. They may be able to come up with ways for you to be more connected by living a day in your shoes. You should always take the initiative by asking if a travel opportunity is possible and explaining how it will help impact your work. In an office environment, it is easy to walk over to someone’s desk and ask a question or discuss a project. People are usually available to you most of the day except in when in meetings. It is important to have this same accessibility from your remote location. You should be available to respond to emails, phone calls, chats and text in a timely fashion. By minimizing distractions and being prompt with your responses, you will make others know that you are just as available if not more so than their local colleagues. Just remember, as a remote employee, it may take a little more effort to feel connected with your coworkers. You will have to take control of your connections and reach out often. However, with the right plan in place, you will get the perks of working remote with the feeling of being local.